Archer, 27, is the Rays’ ace, but he isn’t the pitcher this season he was last. He has taken a step backward in a number of categories. Stacey Gotsulias at Beyond the Box Score tried to figure out what happened to him. She would also go on to cite his velocity, pitch selection and a lot of other factors. It’s a really good read. The main reason the Dodgers are “sniffing hard” around Archer is because of his struggles and the opportunity to potentially buy low — or at least, lower than it would have cost over the winter. Dave Cameron tried to put together a Dodgers-Rays deal for Archer back on Dec. 17. “Obviously, Archer would cost a ton. Over the summer, I rated him as the 10th most valuable trade asset in baseball, ranking one spot behind Andrew McCutchen. He’s a top-tier pitcher signed to an absurdly team-friendly contract, as he’s guaranteed just $23 million over the next four years, or just $38 million over the next six seasons assuming the two team options are picked up. Besides Chris Sale, Archer should cost more than any other pitcher in baseball to acquire, and the Dodgers should be prepared to pay an even higher price to extract him from Tampa Bay than what it might cost to get Fernandez from the Marlins. The proposal ended up being Archer and Jake McGee for Seager, Frankie Montas, Austin Barnes, Alex Guerrero. 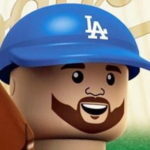 He expanded it to include Zach Lee going to Tampa and Brad Miller to LA, to address the Dodgers trading their star rookie shortstop. Some idiot said he’d at least consider moving Seager to get Archer. I've said I'd only trade Corey Seager to get Mike Trout or Bryce Harper, but I'd at least consider moving him to get Chris Archer. Obviously, it won’t cost nearly that much to acquire Archer now (also, McGee and Lee have since been traded and Guerrero is currently a free agent). But it would still cost a ton. There’s zero chance of Seager being included, but the Rays would be well within their right to ask for Julio Urias as the headliner in any deal. That’d be a non-starter for me, if I’m Andrew Friedman. Urias has already shown he can hold his own as a 19-year-old in the majors and despite Archer being signed at an incredibly team-friendly deal through 2019 (with options for ’20 and ’21), the Rays have zero reason to sell low on him. While it makes sense on paper for the Dodgers to be interested in Archer, there isn’t much hope of a deal happening. The only way it makes sense is if they didn’t have to give up Urias. Conversely, the only way it makes sense for the Rays is if they get Urias. That would be the impasse, and that makes the likelihood of a deal happening slim-to-none. Friedman has already said he wants to target elite-level player. Archer is exactly that. But there’s a reason elite-level players with team-friendly deals are rarely moved — especially in-season.